All those piles of raked leaves and mown grass don’t do much good in your local landfill. If you garden, you can cut costs considerably and feed your soil by composting right through the fall and winter. 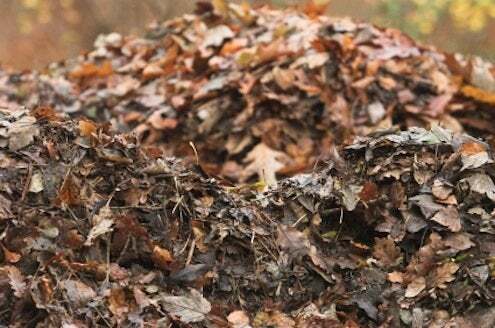 Cold weather won’t stop the composting process—it’ll just slow it down—so go ahead and add your raked leaves. Lawn clippings contain ninety percent water, so you’ll want to let them dry a bit before you add them, but they complement leaves well in compost. Instead of adding chemical fertilizers when you plant your garden in spring, you can use natural, homegrown composted humus to improve your soil’s ability to provide nutrients and hold water. Composters come in various sizes and shapes, but are usually made of formed plastic and are easy to put together. You can compost most yard waste and raw vegetable kitchen scraps to make usable humus in a matter of months: the perfect holiday present for next year’s garden!